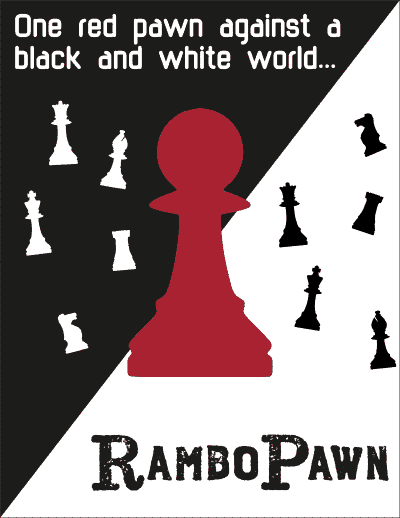 RamboPawn is a game about one red pawn taking on both the black and white chess pieces. turned into a SOLO card game! Sign up for my Igpay Games email newsletter and one of the many perks is a free PnP version of the RamboPawn Prototype as well as other news about indie game publishing and Igpay Games.